The curriculum at The Howard Gardner School is designed to prepare students for success in the university setting. Our faculty and curriculum designers have received awards from multiple organizations and been asked to present at a number of national conferences, including the North American Association of Environmental Educators and NAREN. 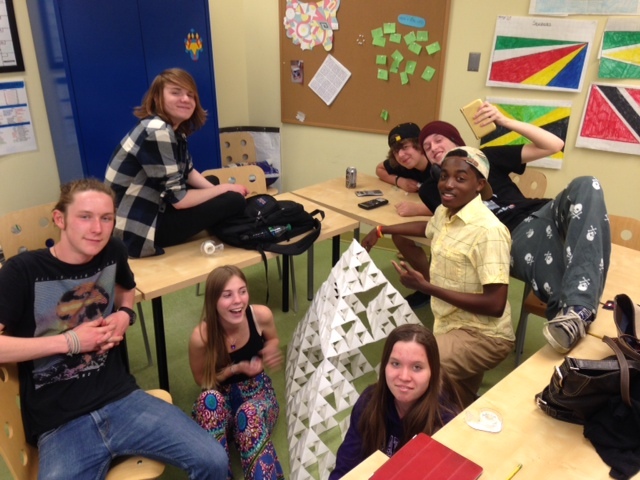 Our Integrated Mathematics and rotating Social Sciences allow for extraordinary flexibility and adaptability. Our language arts curriculum creates opportunities to augment and enrich any skill-set. Our entire program is designed around treating each student as the individual that they are. The typical university preparation curriculum does not always fit every student. At HGS, we strive to address each student's needs while preparing them for post graduation success. Some students are hands-on learners. Others need time to process, or need different ways of expressing what they have learned. Still others may only really understand a concept when they are able to see it in action or apply it themselves. These are all areas that a standard college prep curriculum is not equipped to address. 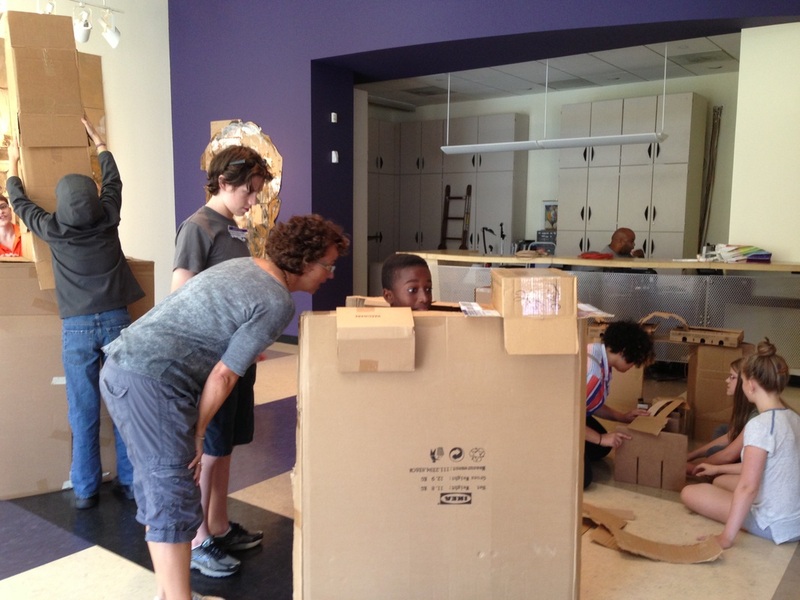 Additionally, we focus on a safe and cooperative learning atmosphere. Students are encouraged to explore what they may not understand without fear of reprisal or penalty. We teach a college prep curriculum, differently. Nothing exists in a vacuum. Every facet of what we learn and discover is connected to countless other areas. As we like to say, "When building a house, you wouldn't take one course called 'The Hammer,' and a different one entitled, 'The Nail.'" Demonstrating the connections between subjects and disciplines takes a willingness to spend the time, a superlative level confidence and expertise, and a highly collaborative faculty and staff. At HGS we have, and will to work hard to maintain all three. Additionally, our daily, weekly, and yearly schedules are all designed around the concept of connected learning. Our programs interact with one another, our activities augment and support, and our efforts are all geared toward the high level critical thinking, analysis, synthesis, and evaluation that is so crucial to success. The student is the center of a school. While this is something that is easy to pay lip-service to, at HGS, we live it. Our students contribute to (and are thus far more engaged with) our lesson planning, our field studies choices, indeed, with virtually every facet of the school community. No-where is this more visible than in our school constitution. Every year, our students rewrite the entire school's rules and responsibilities. Even our name, "The Howard Gardner School," was chosen by our first students. 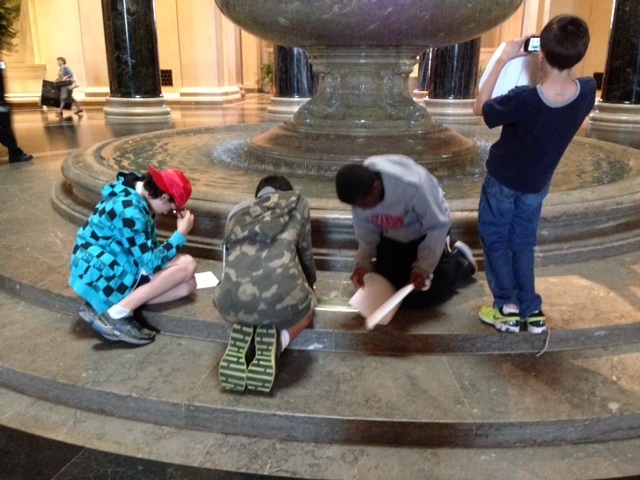 Middle schoolers reflect during a field studies trip. 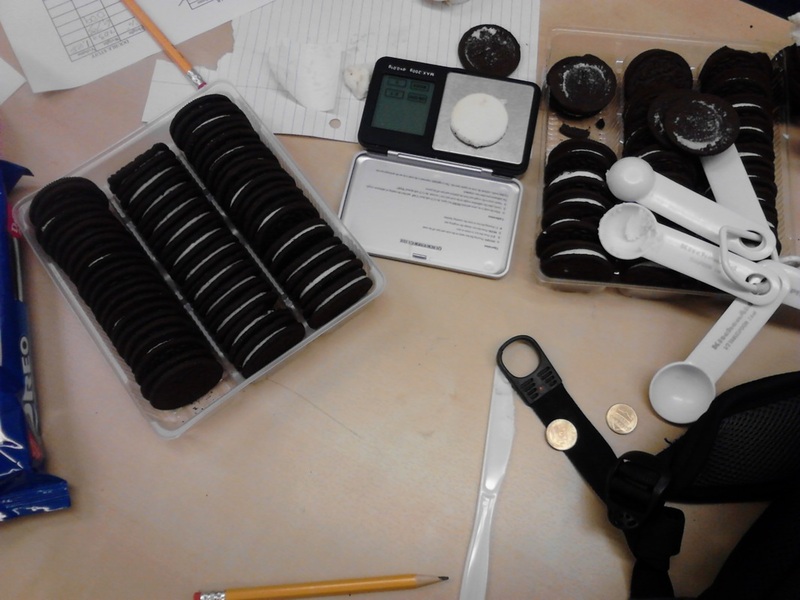 The infamous "double stuff" Oreo lab. 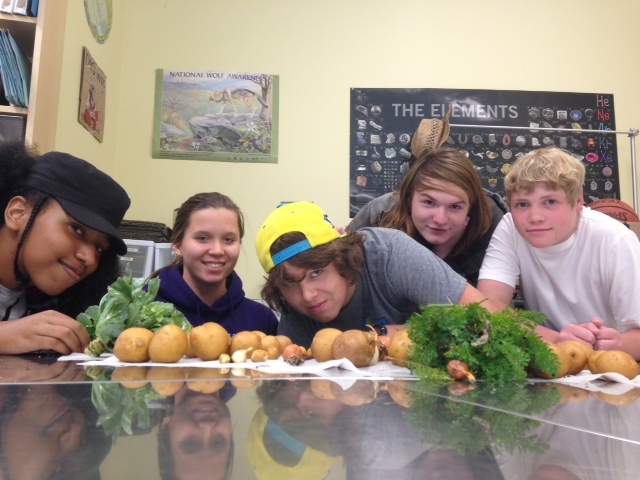 The bounty of an elective class students helped design. We focus on depth, not breadth. Too often, a curriculum is designed to be "a mile wide and an inch deep." The 21st century learner cannot afford to merely acquire knowledge. They must learn to analyze, synthesize, and evaluate that knowledge to glean true understanding. By taking deep dives into particular areas, our students learn to think critically, challenge information they are presented with, and thrive, in a fast-moving, ever-changing world. Our teachers have the expertise to guide our students through the inquiry learning process, and not simply "get through" the material. Additionally, we must create an educational environment in which students can see, and better yet, experience how what they are learning relates to the world around them. A school should not be a cloister in which its students sit in rows of desks passively watching an instructor reveal facts. A school should be a conduit to the real world; a place where students learn, then experience, then apply their understanding. Mastery is not reached by marking the correct number of multiple-choice answers. It is reached by bringing understanding to bear on real problems in a real way. Middle School displacement and rigidity science lab. Learning regressive series through fractal design. Ecological survey of our certified wildlife habitat. When Dr. Gardner of Harvard University first posited his theory of multiple intelligence, he summarized it by asking not, "how smart are we," but "how are we smart?" Every individual has strengths that can be used to thrive. Traditionally, schools have focused on two areas of intelligence: linguistic and mathematical. While these areas are crucial to develop, there are a plethora of others that can be leveraged to increase both learning capacity and the quality of an educational experience. Whether a student has strengths in movement & coordination, musical-rhythmic, naturalistic, interpersonal, existential or any of the other many areas of potential capacity, they can learn to use those strengths to thrive. At The Howard Gardner School, we recognize the importance of differentiating instruction and ensuring that each individual can address curricular material. Quintessentially, we aim to understand each student as an individual, help them recognize and build their strengths and use those strengths to thrive academically, intellectually, and emotionally. It takes a lens to focus. 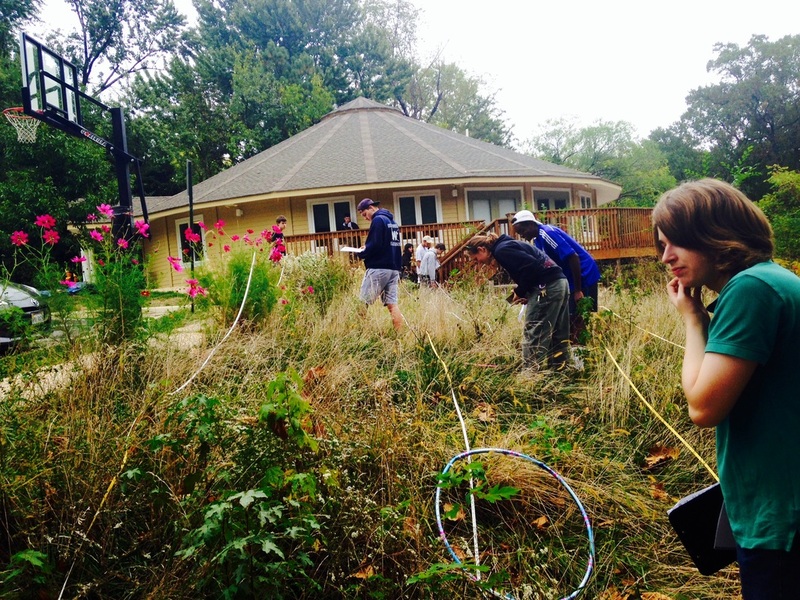 At The Howard Gardner School, we use two lenses: environmental science and the arts. Each one allows us to channel material, information, and understanding into mastery. While these are not the only guideposts we use, we have found that these two disciplines are highly connected to the greater world, allow us to look both inward and outward, and provide many opportunities to think critically and apply our understanding.